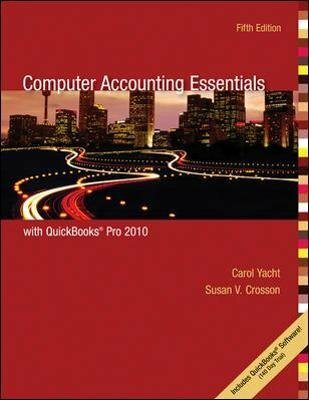 QuickBooks Pro 2008 Essentials is an accessible, step-by-step guide to installing, using and mastering the most widely used software for small businesses. Supportive pedagogy helps students develop a strong working knowledge of QuickBooks Pro. This book focuses on the basic business processes of the software and teaches students step-by-step how to set up and run a merchandising corporation.